What Are the Duties and Hazards of an Oilfield Pumper? 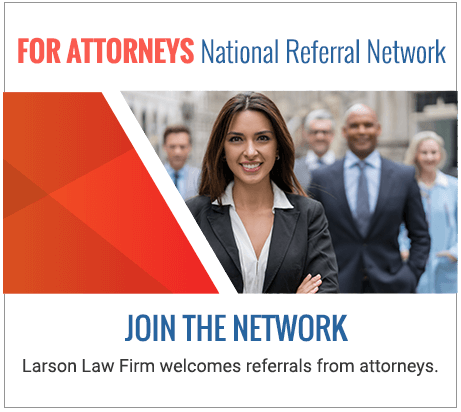 | Larson Law Firm P.C. There was a longform article in a recent issue of The New Yorker, which profiled the life and work of Rachael Van Horn, a female oilfield pumper in Oklahoma. This article offers a day in the life perspective of the work of a pumper, and more specifically, the difficulties pumpers face – especially when they so often work alone. While Van Horn is a pumper in the western Oklahoma oilfields, the work is the same for pumpers in North Dakota. Pumpers must check on their wells every day to make sure they are running correctly, and troubleshoot on-the-spot any problems that arise. The article describes the solitary nature of the work, the inclement weather that cannot slow them down, and the difficulties that can arise when you are a contract worker, as opposed to an employee. The job description of an oilfield pumper is to assure that wellheads located in fields across a wide area are properly maintained and working efficiently. Pumpers log data, check and test gauges and perform minor repairs. They also assist in maintaining a clean work area around wellheads and pumping areas according to Payscale.com, which also reports that most pumpers are extremely satisfied with their work. We understand that there’s a certain amount of kidding around with “the new guy,” and that some ribbing is to be expected. We also think that there’s value in failing, because it teaches us what not to do, and forces us to find the answers we need to the problems we have. However, what pumpers do – what all oil and gas extraction experts do – comes with built-in risk already. If a pumper doesn’t know how to do his job because he wasn’t trained properly, or because he’s sent out into the field too soon, his safety and his life could be at risk. Malfunctioning wells can spew dangerous chemicals, or ignite if conditions are right (such as during a lightning storm). A pumper on his own might not be able to reach safety in time, or call for help if he needs it. Even if the wells are safe, there are still hidden risks. One of the stories told to The New Yorker was about a pumper who was attacked by a bull while inspecting a field. Being attacked by livestock might be rare, but hitting a pothole while in the truck is not, nor is tripping or falling and hitting your head. The Larson Law Firm, P.C. believes that everyone has the right to work safely in the oil and gas industry. There are risks inherent to being an oilfield pumper and many other positions in this industry, but that does not mean you are at fault if you get hurt while doing your job. 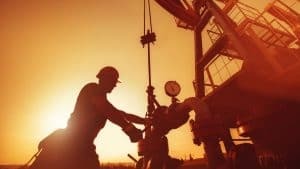 If you have been injured during the course of work or in an oil field accident, you can get paid for your medical bills, pain and suffering, and lost wages. Find a Minot oil field attorney that has your back. Give us a call at 701-484-HURT or fill out our contact form.